1991 Celica GT Convertible All 5th generation Celica convertibles were built by American Sunroof Corporation (ASC) in California and this is one of few remaining nice examples. It has been a Georgia car its entire life and is utterly rust free. 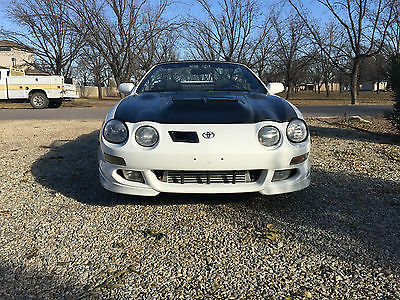 This one was opted from the factory with the same 2.2-liter 16V 5S-FE that graced the GT-S version of the Celica mated to an automatic transmission. 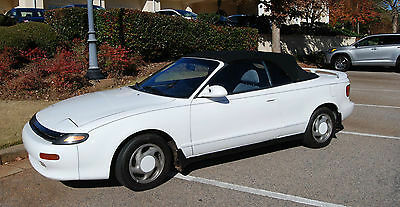 It retains its very nice original grey cloth interior and has been re-painted in its original Toyota Super White. 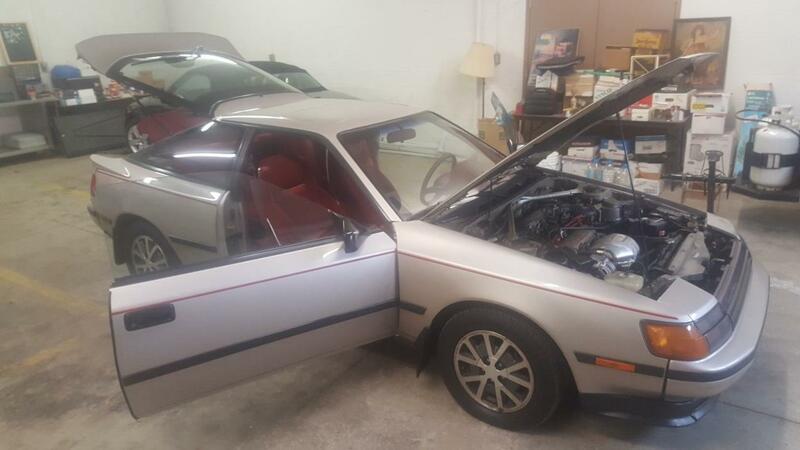 The current owner of this car is a retired certified mechanic and bought it as sort of a retirement project to have some fun with and occupy his time. He went through the engine and the following repairs were made: New oil pump, new water pump, cylinder head removed, pressure checked and decked, then a valve job was performed. Engine disassembled, rod and main bearings mic’d and replaced with new standard bearings. New timing belt and tensioner. New map sensor, fuel tank cleaned and new fuel pump installed, rebuilt ac/compressor, receiver drier replaced. Lastly, he installed a new battery. After that he repaired the transmission valve body, replaced the seals, changed the filter and installed fresh ATF. While he was in the transmission he mic’d and checked the clutches and they were in great shape. The car shifts perfectly, has no leaks and makes no unusual noises. Though the car drove well, he decided due to the high miles, he would replace the stabilizer bar bushings, tie rod ends, front and rear struts, front wheel bearings (& seals) front brake rotors and brake pads, front brake calipers, rear wheel cylinders and brake pads all the way around. Once all that was done, he turned his attention to cosmetics. The car was actually quite presentable but he decided to remove the convertible top, clean it and re-seal it. He also refurbished the lift cylinders for the top along with the hydraulic pump. All the gauges, lights and accessories work. The power windows work well as does the cruise control. The Air Conditioning works great (as does the heater!). The car’s current owner has enjoyed working with this little gem of a car as it has responded so well to each repair he has made. 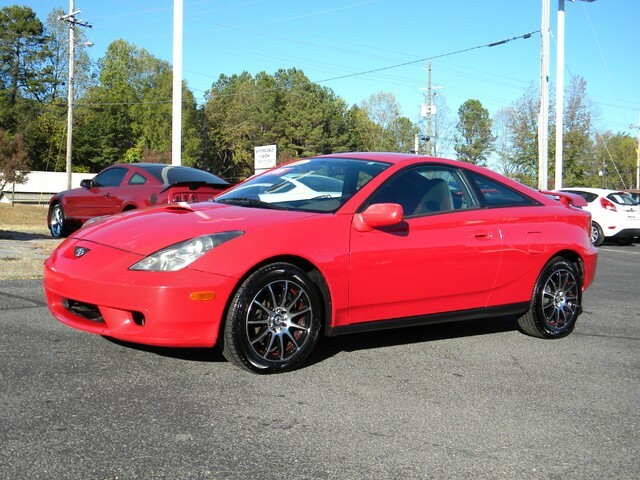 Though the miles are high, he has achieved his goal of making this car reliable and fun again. He is now ready to start on his next project. 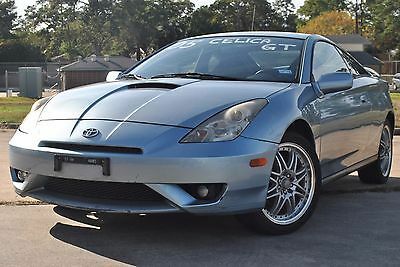 To that end, he is offering the little Celica for sale here on Ebay in the hopes that it goes to a new owner who will take good care of it and continue to shower it with love as he has. 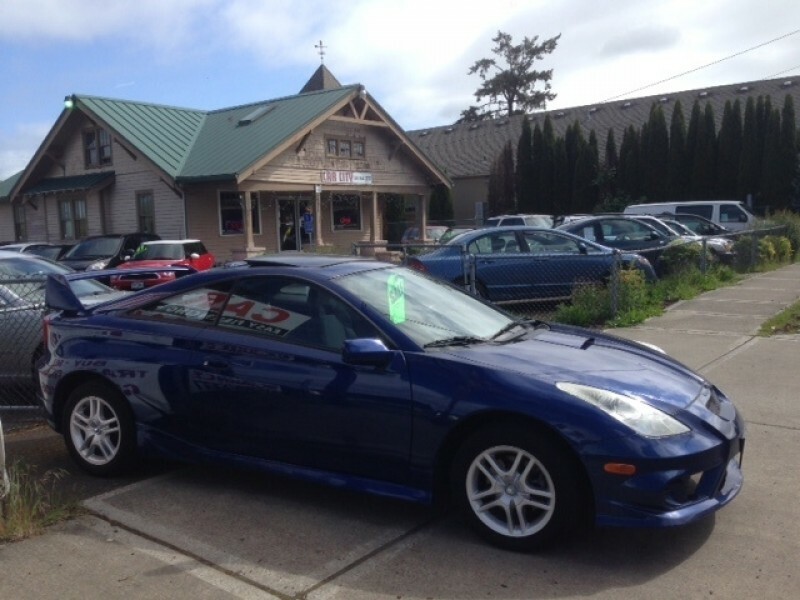 This car has been well refreshed and is ready to deliver its new owner many miles of enjoyment. So, if you would like a fun, sporty, economical and reliable car that you don’t see every day anymore this may be the car for you. It has a clear title and is currently registered. This car can be driven anywhere. Thanks for looking! Please do not hesitate to email with any questions or any specific picture requests. $500. deposit due through Paypal within 48 hours of auction close. Balance due within one week of auction close. I accept bank draft or check, but check will have to clear bank before car is picked up. 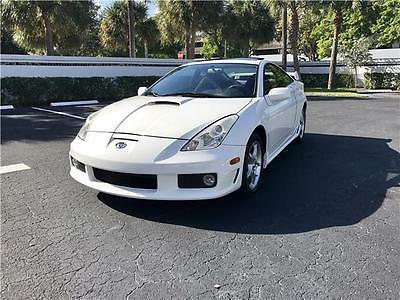 Car must be picked up within 2 weeks of auction close. The rear spoiler is missing and the passenger window isn't working, however it's an electronic issue. The car has never had engine problems and runs like a champ. Don't be misled by the high mileage. This car just passed SMOG a little over two months ago in October 2016, which according to a mechanic show that the motor is good. Also, the Timing Belt was replaced at the same time. As I understand, as long as that has been replaced, the motor should keep on turning and running with only regular maintenance and the Timing Belt should not have to be replaced for another 100k miles. 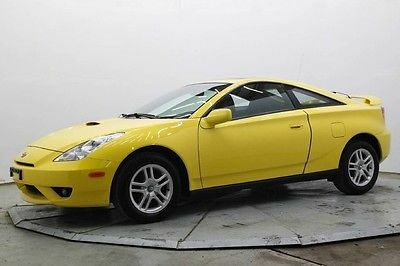 Selling this car for my son to use towards another car. Please send him an offer to consider. I do believe he will consider and accept a reasonable offer. Please let us know if you have any questions or need more pictures. Thank you. Asking $3000 OR BEST OFFER. 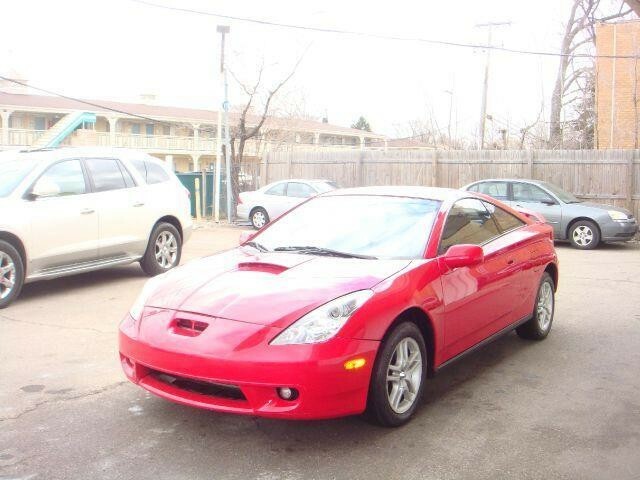 NEGOTIABLE.Great running 1995 Toyota Celica ST, 1.8 liter, 4 cylinder, stick shift. This car looks like a racer with a low sitting suspension where you feel every bump. This car has a lot of get up and go and moves pretty fast. CUSTOM RED and BLACK Interior 18" custom rims. 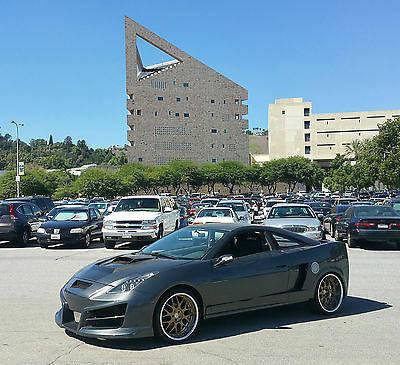 Low profile tires 225/40R18ICE COLD Air Conditioning Power Sunroof, mirrors and locksStereo with MP3 input and AMPJust passed smog in October 2016 Several Maintenance repairs have already been done. A Brand New clutch put in last January 2016, cost $900+New TIMING BELTNew StarterNew Front Oxygen sensorNew muffler flex pipe sectionNew spark plugsNew Spark Plug WiresNew Distributor CapNew RotorIgnition Timing done when Timing Belt replacedNew Air FilterFuel Injection Flush done prior to SMOGNew Fuel FilterNew Battery replaced in Dec 2016Axles replaced in May 2013Brake Flush and Power Steering Flush in Dec. 2014 Around $1800 spent within the last year of 2016 already to keep this car a daily driver and running very well. The front seats do have some tears, the door panel arm rests do have some indentations, the paint has some peeling clear coat, some scratches and dings. The stereo, with MP3 input, works but I think it needs some new speakers. Asking $3000 OR BEST OFFER. NEGOTIABLE. Located in Montebello, CA 90640. Delivery is possible if not too far. Please call to see the car or for more information. Please ask for John. 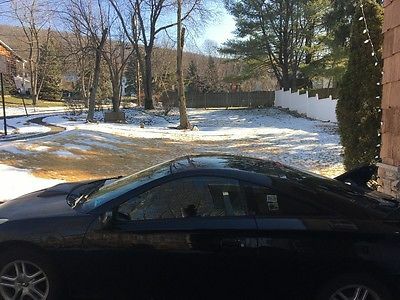 Right reserved to cancel this listing should the car sell elsewhere.